The 2019 schedule for UFC is off to a fast, exciting start, as we now have two pay-per-view events under our belts. At UFC 235, a new welterweight champion was crowned as Kamaru Usman thoroughly dominated Tyron Woodley, while light heavyweight champion Jon Jones once again had his dominance on display in a successful defense over Anthony Smith. Prior to that at UFC 234 in February, while Robert Whittaker’s scheduled defense of his middleweight title was canceled on short notice, Israel Adesanya got to show that he truly is the next big thing in the division with a victory over the legendary Anderson Silva. 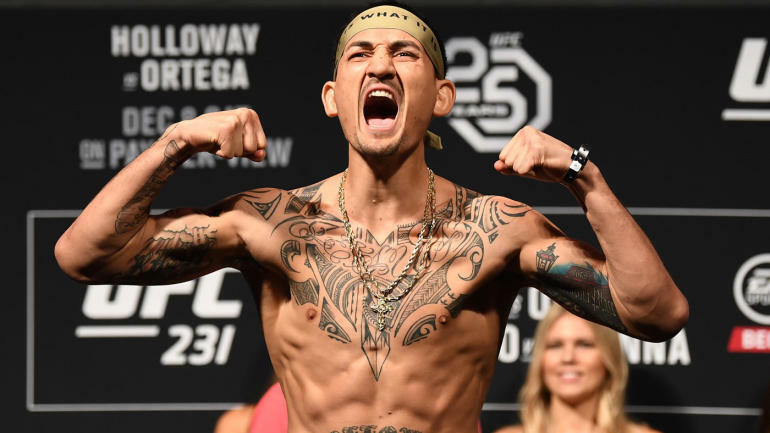 The next PPV offering, UFC 236 in Atlanta on April 13, will see reigning featherweight champ Max Holloway move up to 155 pounds to take on Dustin Poirier for the interim lightweight title. Prior to that, more UFC Fight Night events will come our way with some exciting main events. Then, in May, strawweight champion Rose Namajunas will headline the UFC’s latest PPV offering from Brazil when she battles Jessica Andrade in Rio de Janeiro. In June, flyweight champion Henry Cejudo, fresh off a quick TKO win over TJ Dillashaw, will challenge for the vacant bantamweight title against Marlon Moraes after Dillashaw was forced to relinquish his belt following an adverse finding in a drug test. Below is an updating schedule of events and main event bouts for 2019. Check back for updates throughout the year. Click on the links for complete, up-to-date cards.